I totally agree. 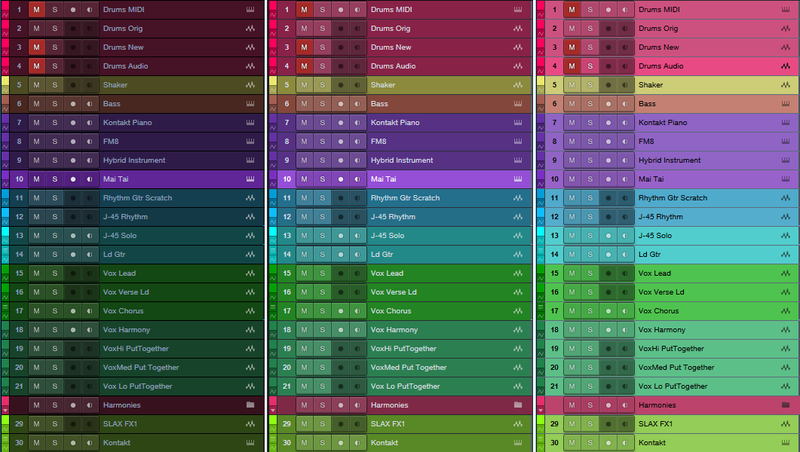 No idea why Presonus doesn’t just give us a simple and logical spectrally organised colour picker, similar to other fine DAWs? I have already suggested this long ago on their web site. I agree with all of your points, and would like to add that the way colours are organised in the colour picker right now is atrocious. I cannot fathom what the ordering is supposed to be, and trying to group things together using a lighter or darker shade of the same colour is an exercise in frustration. Compare and contrast with the picker in Pro Tools or Logic Pro. There are global hue controls and luminance, but I don’t know if that’s sufficient for someone color blind. I do believe it’s more prevalent than people think. I was doing a manual once for a product that relied on color in the UI. When I said “what do we do about people who are color blind?” there was stunned silence…no one had even considered it. 2. Ability to tweak the colours to a density and hue that suit you as an individual – some of us are partially colour blind. In v4 I cannot get a distinctive chocolate brown (my drum colour) without upsetting everything else. 3. Ability to share and transfer custom colour palettes. Colors is something that goes more with how we perceive sounds. A yellow color can represent easily something high..or bright …like strings. A dark color can represent something like a bass track…drums. A nice color like blue or pink can be a synth or a piano sound. Colors goes attach with our perception of frequencies…and thats something that differs from person to person. CLA uses green on his drums…for me a green color goes more on a Organ B3 …for me drums should be a dark grey since they are part of the back bone of the song….a background foundation . Lead vocals are red for a lot of people…red for me is elec guitars since the color is more attached to the driven sound…fire…hot. It just goes with how we perceive and associate that sound with a real life past experiences. I’m in the “colors are important” camp myself. 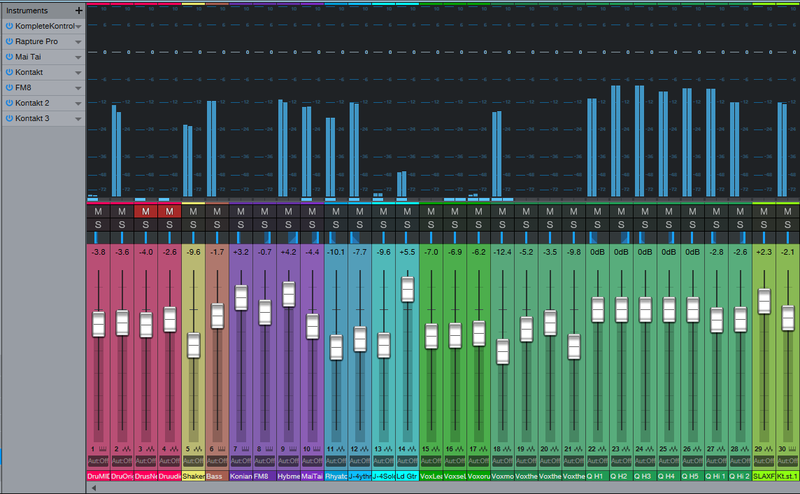 The only thing left for Presonus to do is to get rid of the black waveforms in exchange for colors that match the tracks, like Pro Tools or Cubase does. The current waveforms are not attractive, in my opinion.